Lighting designer Paul Normandale has field tested Martin Professional’s new 1500-watt MAC III AirFX moving head on Jason Mraz’s current “Tour Is A Four Letter Word” world tour and found the luminaire to be a highly versatile lighting fixture. Gobos in a wash light? The MAC III AirFX is a new concept that combines hard-edge, mid-air effects and a wash field in one luminaire. An aerial effects wheel houses a set of four exceptional gobo designs and its unique optical system allows it to adjust from a tight beam to a radiant wash instantly. Super bright at nearly 60,000 lumens, the MAC III AirFX has enough power to cut through light from powerful LED screens, an element that played a major part in Paul’s design for Jason Mraz. 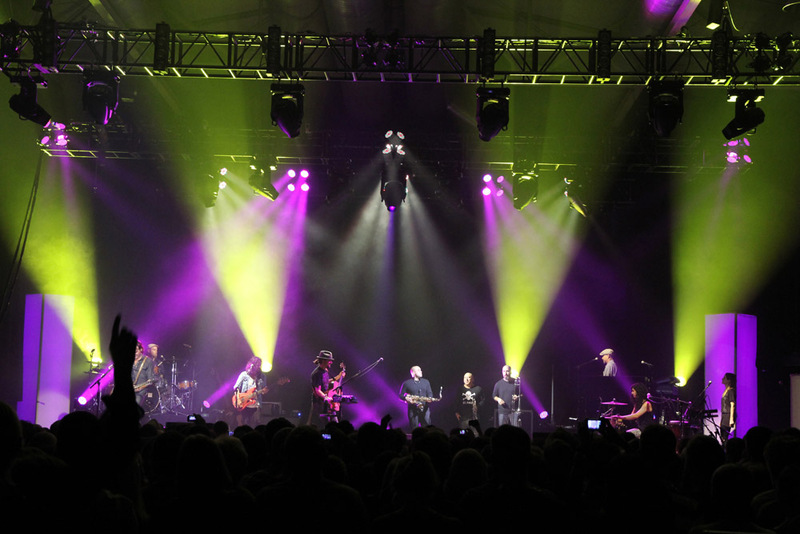 “The MAC III AirFX is a great aerial light that can really add some dimension to a lighting rig. 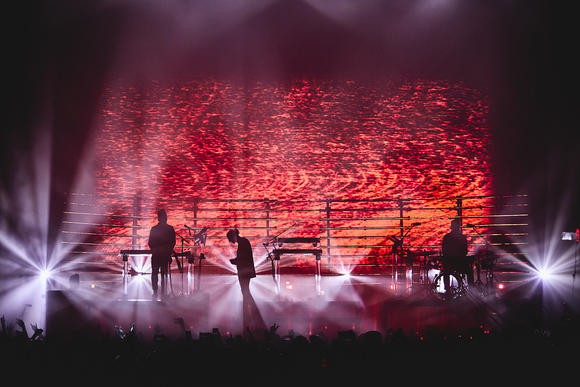 Their brightness allows them to cut through nicely while in a gobo and helps texture an otherwise static look,” commented tour lighting director Joel Reiff, a talented operator who often busks parts of the show. Predominately a Martin rig, the Jason Mraz European tour played everything from small venues to large arenas this fall, the AirFX showing its versatility to adapt to each with just four of the fixtures filling the stage from an upstage position. Working together with Martin MAC Viper Profilesand pods of MAC 101sin a musically eclectic show, the AirFX’s verstility came shining through its 9” PC lens in the form of washes, aeriel effects and big beam looks. Spread across upstage, mid- and downstage trusses, 19 MAC Viper Profiles also played multiple roles as spots, occasional gobo projection onto large illuminated columns and as front light onto performers. Working side by side the 101 pods, no Vipers were reportedly swapped out on the tour. 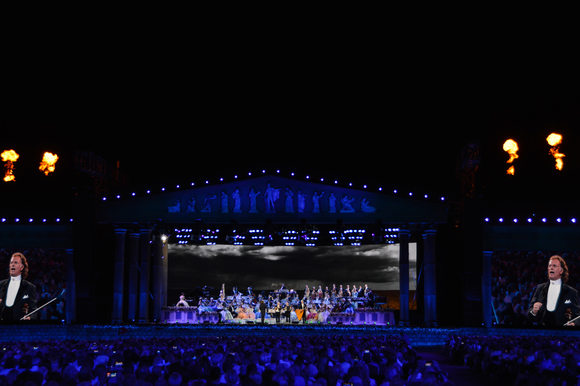 The MAC 101s, four fixtures per pod, provided powerful blasts of color wash onto the stage and audience while 12 additional 101s worked from a floor position (MAC Auras were used in place of the 101s on the U.S. leg.). Behind a backdrop LED screen (not used in the Columbiahalle show pictured), more Vipers and 101s cut through from a pair of upstage trusses. Since June, Jason Mraz and his new band have toured Asia, North America, and Europe. Lighting vendor on the European leg was Lite Alternative with Upstaging supplying in the U.S.